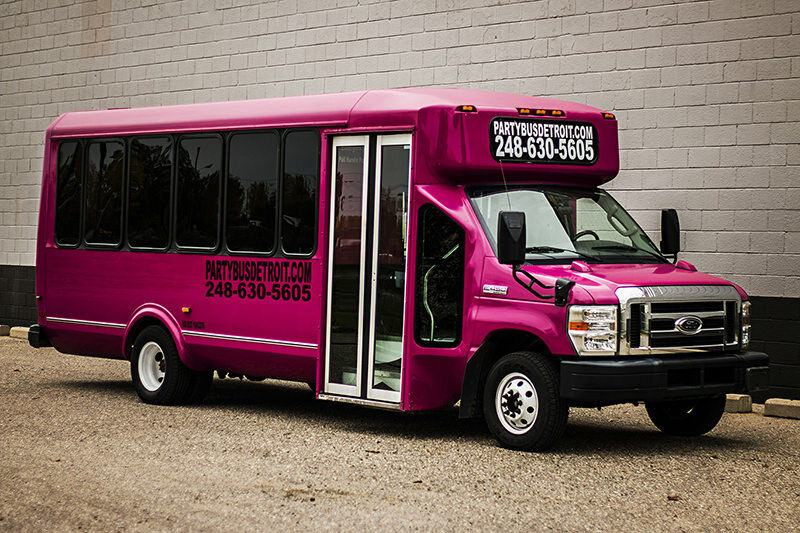 This is our 24 passenger pink party bus. 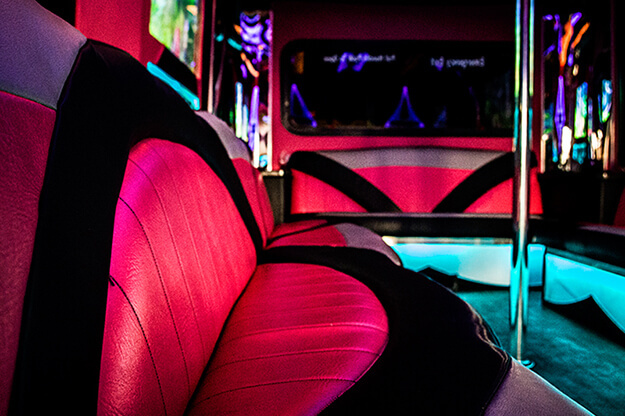 It has custom leather pink/black/gray seating. It has the same color on the custom interior throughout. It also has a color changing ceiling/steps/walls/kick panels that are hooked up to a custom light controller. Part of the ceiling also has mirror finished stainless steel. It has a very loud sound system with loud 12" subs and loud 6x9 sets. There are granite bar tops with built in coolers for you to store your drinks. The flooring is real hardwood and it has a chrome dance pole. There is a DVD player connected to four 42" flat panel TVs for viewing. 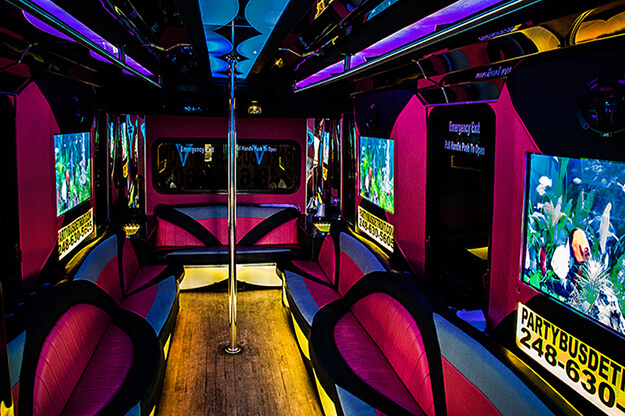 Reserve This Party Bus Today! © 2018 • www.35passengerpartybus.com • All Rights Reserved.